When will your wristbands get delivered? Check out our wristband delivery schedule for details! 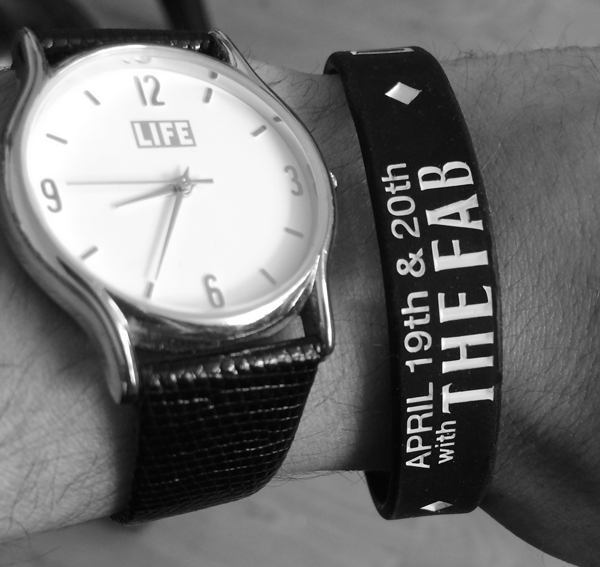 We know your wristband delivery deadlines are important in general. But this goes double for a wristband made specifically for an event. If you have a delivery deadline in mind, please be sure to let us know at the time of order. If we accept* your event deadline and the wristbands don’t make it in time, we’ll refund your order. We’ll even pay for your return shipping! Acts Of God. If UPS, FedEx, USPS or DHL service is effected because of a blizzard or hurricane or other weather event or circumstance and this delays your shipment, Wristband Bros can not be held liable for this delay. If your shipment is attempted for delivery on time and you do not make proper considerations to receive it. All of our deliveries require either your personal autograph or a written note allowing the package to be left at your door. You will be provided with a tracking number via email as soon as the item ships. DHL and UPS will attempt three deliveries in total before designating the package as “pick-up” only. If you’re in need of wristbands for an event, it’s important to stay on top of your delivery by monitoring your tracking number on DHL.com or UPS.com, respectively. And that’s it. In all other circumstances, if one of our reps promise that your wristbands will be delivered in time for an event and they aren’t, you’ll be eligible to return the items on us. Once the items are received back at our distribution center, we’ll refund your order 100%. *Please note that not all event deadlines can be accepted. Our production schedule can vary. If we can not guarantee delivery by a specific date for your order, we will let you know as soon as possible. If you need to know now, just give us a call at 866.428.0095. Custom Wristbands With Ribbons? We Do That.